At Metrowest Family Dentistry, our team loves transforming patients’ smiles. Our Southwest Orlando cosmetic dentist is skilled in the art of aesthetic dental care. We create renewed uniformity and beautiful appearance for patients whose smiles have been affected by stains, damage, or regular wear-and-tear. Let us help you on your path to a confident smile with customized cosmetic dental services. Contact our office today to get started on your unique treatment plan. While cosmetic dentistry is intended to improve the overall appearance of teeth, there are many procedures that balance improvements, health, function, and aesthetics. Metrowest Family Dentistry provides natural-looking cosmetic dental restorations to repair broken, decayed, and otherwise damaged teeth. While metal-based prosthetics diminish in aesthetic quality over time, our treatments are completely metal free so your smile will look flawless for years and years. These natural looking materials mimic the light-reflecting qualities of real dental enamel while providing the strength you expect from a metal-based prosthetic. Patients who grind their teeth or have heavy bites were traditionally given metal restorations, but these advanced materials made aesthetic care possible for almost every dental patient. Even if you just need a filling, we use only amalgam-free, tooth-colored composite. A dull and discolored smile can easily compromise your self-esteem. These issues can even make patients hesitant to laugh and smile in public. 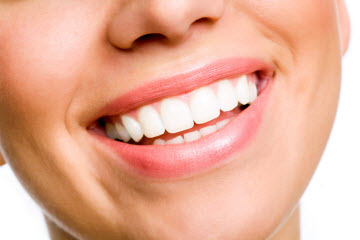 But teeth whitening is one of the easiest and most efficient ways to create a new appearance. Our cosmetic dentist provides Zoom! whitening both in-office and through at-home kits, so you can achieve the smile you want on your schedule. Patients who have severely discolored teeth that cannot be corrected with dental bleach, we offer seamless dental veneers to cover and conceal stains. This is ideal for teeth that are gray from medications or have darkened with age. When you choose our Southwest Orlando cosmetic dental office, you are treated to comprehensive care that includes a thorough exam to determine your needs. If a crown, bridge, or veneer is a part of your treatment plan, Dr. Heap works with a trusted local laboratory that offers customized shade-matching and mock-ups to fine-tune the appearance of your permanent prosthetics. To get started, contact Metrowest Family Dentistry and learn more about how we can help you achieve a smile you can be proud of.